This is a stay where you can go out of sight but the dog will not move. This stay is a good trick to first practice in the garden and perfect at the park. Ask your dog to stay as before then walk behind a building or tree so that you are momentarily out of sight. Return to your dog to reinforce and reward. Extend the length of time that you are out of sight to build your dog’s ability and confidence. Top tip; if your dog moves during this trick then you have not perfected the stay, go back and reteach it before trying this trick again. Dog trainers love this trick because it enhances trust and provides control. Teaching this trick will ensure that your dog learns to stay completely still when you ask him to stay despite what is going on around him. Have some treats handy and ask your dog to sit or lie down, these positions are better to teach the stay because the dog has to make a conscious effort to change position before moving. Take a pace away from your dog and back to him and reinforce his stay then offer a reward. Walk around your dog and return to him again to reinforce and reward. When your dog is still despite you moving around then make his position stronger by jumping, running and skipping around him. Always reinforce and reward his stay. Top tip; if your dog won’t stay at all begin teaching this trick by putting his leash on the ground and having a helper stand on the end of it to prevent him moving. 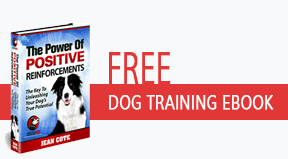 Dog trainers love this trick because it offers control in busy situations. The ultimate in self-control is a dog that will hold a biscuit on his nose and then give it back unharmed. This trick will help you to teach your dog just that! Have two treats in front of your dog and ask him to sit or stand. Now when he is perfectly still place one of the treats on his nose and hold the other in front of him to keep his attention. Reinforce his position after a second or so then take the treat from his nose and offer the second treat for him to eat. This is teaching your dog that if he ignores the reward on his nose you will provide him with something equally rewarding. Add the command word then gently delay reinforcement and reward so that your dog balances the first treat for longer. Top tip; if your dog is obsessed with taking the treat from his nose make the second treat higher value, this way he will be more likely to wait for his proper reward. Dog trainers love this trick because it encourages control and focus. High five is a trick that is an extension from giving a paw and wave goodbye. Hold out your hand to your dog and allow him to touch your palm with his paw, do this at a height that you know your dog will manage. Reinforce and reward the touch. Add the command word and repeat. Gradually hold your hand higher until your dog stretches upwards to give high five. Top tip; reinforce and reward every step of the way and your dog will soon be offering great high fives. Dog trainers love this trick because it is great at the end of a combined routine. Fetching a bowl is an excellent trick where your dog fetches his food bowl to ask you to fill it with food. This looks great however you may be fending off a hungry dog more often than you would like. Begin training this by targeting your dog to his food bowl. Bring the food bowl into the training area and draw your dog’s attention to it. Each time he touches the bowl you must reinforce and reward the action. Begin to withhold the reward until your dog realizes that he must move the bowl for the desired result. Add your command word. Next only reward when your dog picks the bowl up. Then only when he holds it until you take it from him. When you take the bowl from your dog add another small reward into the bowl and allow him to eat it straightaway. Practice until your dog can pick the bowl up and bring it to you. Top tip; if your dog loses confidence just go back to stage two and work through them more slowly to ensure that he has learned what he needs to progress. Dog trainers love this trick because a hungry and persistent dog will never allow you to forget their meal. A trick that enables you to tell your dog to stand completely still, this act will help your dog to disregard anything that is going on around him. Show your dog a treat and whilst he is standing up reinforce and reward. Continue to reinforce the position and gradually draw out the time period between rewards. With practice your dog will be able to stand completely still until you release him from the trick by giving another command. Top tip; keep initial reinforcement to a maximum because your dog will automatically want to move to the sit position. Dog trainers love this trick because it combines focus and concentration for both dog and trainer. Teach your dog to come running keenly when he hears the sound of a whistle. This is probably one of the most important tricks that your dog will ever learn. Recall is vital and because the sound of a whistle carries a long way it makes sense to train your dog that when he hears it he returns to you. Easy to train you will simply need to show your dog that the whistle means that something nice is waiting. When you feed your dog give one short blast on the whistle so he associates the nice feeling of tucking into a meal with the sound. Have a friend hold your dog and wave a treat then run away to hide. Blow the whistle whilst your dog is released to run to you for reinforcement and reward. Top tip; do not blow the whistle when you know the dog is too distracted to return, this will teach him to ignore the sound. Dog trainers love this trick because it enhances canine recall. Teach your dog to growl on command. Growling is a sound that your dog will offer usually as a warning. You can however teach him to growl on command and you will be able to tell the difference between his play growl and serious communication. Show your dog a treat and wait for him to respond. He may perform a repertoire of the tricks he has learned so far but simply wait for him to offer a bark and concentrate on any tone of that bark that could become a growl. Reinforce and reward. Now shape the sound with reinforcement to become a growl, this will take practice and you will need finely tuned timing to catch exactly the right pitch that you need to reinforce. Top tip; if your dog growls at random noises then you can utilize and reinforce this growling to learn the command. Dog trainers love this trick because it’s unusual to see a dog growling at his handler in order to obtain a treat. Similar to howling but this trick ensures that your dog sings along with you so you can offer a fantastic duet to an appreciative audience. When your dog has learned to howl add your singing voice as an extra command that tells him to howl. Sing to your dog, loud as you like and he will most certainly join in with you. Reinforce and reward. Top tip; vary your tone of voice because one particular pitch may be enough to convince your dog to join in with your singing. Dog trainers love this trick because it is fun and a great stress reliever.